A hand quilting frame is an uncomplicated, straight forward round hoop, or a 2rail frame or even a 3rail frame with very few moving parts and very easy to use. As the grandfather for all hand quilting, the art of pushing a needle up and down through the quilting sandwich has continued to flourish over the centuries. Our love of quilting started with a quilting frame that is not real complicated and allows up to concentrate on beginner hand quilting. 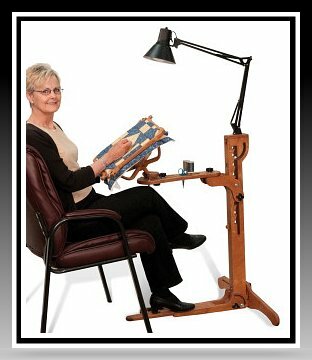 Maybe you own a hand quilting frame or know someone who does. If you are more than 55 years old you most likely understand the importance of the traditional way of quilting. Those of us who only have enough room to set up any quilt frame find it real convenient for quilting whenever the time allows. 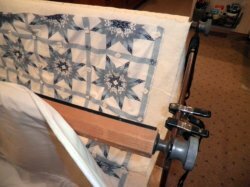 For me it was not unusual to have a quilting frame set-up and loaded with a quilt through the winter and into the late spring or until the quilt was completely quilted. The 2rail roller hand quilting frame is the forerunner for all other quilt frames. This system is fading fast and it is hard to find information on how to load this type of frame for those of us who are just starting out as a beginner hand quilter. You will not qualify as a real quilter until you have at least attempted one or more of the traditional 'yesterday' quilt frames. We got you covered when it comes to knowing how to load a 2rail. Our Free 2rail Frame Mini Book will show you how to use Velcro to make it a whole lot easier and lightening fast! I am fortunate enough to be in the category where I can remember playing with my dolls under the quilt frame when the ladies were not quilting. When they were quilting, I was the one that had to thread a couple packages of quilting needles by unwinding the lead end of the thread from the spool and just keep adding needles until their were no more needles to add. 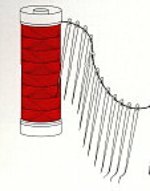 I remember well putting the spool of thread in a cup so the spool would not fall to the floor and unwind unnecessarily. The ladies would grab hold of the first needle and pull about a 12 or 15 inch length of thread from the spool. Once the first needle was cut from the spool, the new end would be secured in the small slit at the top of the wooden spool to keep the other needles from unthreading. I not only did this for my Mother but I did it for my home economic school teacher as well. 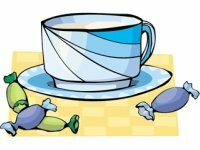 After which I would work on my homework assignments under their watchful eye while enjoying an after school snack. A hand quilting frame is about as basic as you can get for sewing room furniture. You must remember, before the twenty-first century quilters did not have an abundance of technology which is offered today. Today you can experiment until you find the right tool or the right brand or the best quality. Even a frame that fits your space such as the Grace-hoop. Quilts from bed size to wall size and everything in between can be stitched in a 2rail frame or a lap hoop. We show you how to use a modern day tool to your advantage when loading a 2rail frame. Any quilting experience starts with loading a quilt frame with a quilt. 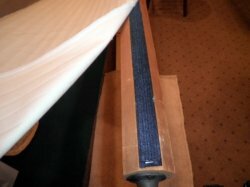 take a look at how we stuck Velcro on one of the rollers and sewed the matching strip onto a 'leader' and then simply matched the two strips to form a strong bond. Neat, don't you think? When it comes to quilting there is a way to start, stop and move the needle from point to point. there is even a proper way to knot the thread. And get this, it is not just any knot it is a quilter's knot. The quilting stitch requires very little concentration, once the skill is mastered. You can quilt while visiting. If you don't believe this, think about all the chatter around the table at a quilting bee. If group quilting is not for you, you can enjoy your special music and reflect as you enjoy a quiet atmosphere. No matter, you can be as social or as solitary as you please.